So this landed in my inbox out of the blue… or should I say, out of the pit? 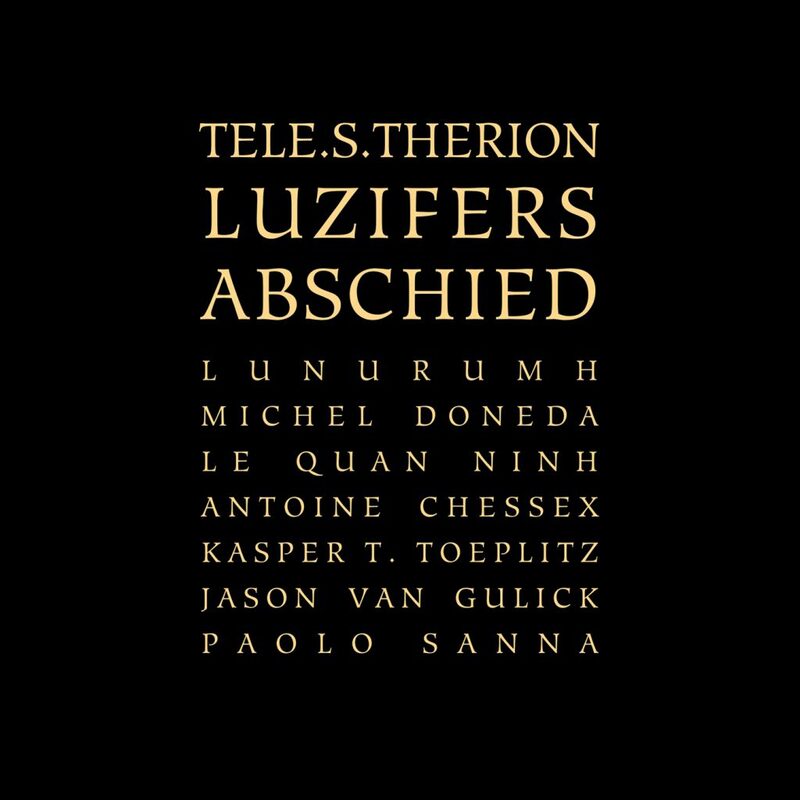 Who is Tele.s.therion? Is it a person, a collective, a band name? The Facebook page won’t help you. And given the ‘acousmatic’ concept, nor should it… The akousmatikoi (ἀκουσματικοί) were pupils of Pythagoras sitting in silence as he lectured from behind a screen. The absence of visual input was meant to make them concentrate all the more on what they were hearing. Tele.s.therion has (have) applied this concept musically. Each musician improvised their own music in isolation from the rest, the only cue was the enharmonic electric bass track. It’s a very isolated (and isolating) mode of improvisation, focused purely on sound with no visual or interpersonal cues… Give the whole thing an ominous black metal vibe and the result is an improvised work like no other. The vocals are often indistinguishable (by me, at least) groans and non-human invocations – imagine a Saruman and Uruk-hai staff meeting conducted in Gregorian chant and you’re halfway there. The other half is a more ethereal component, somehow purer and lighter and yet more obscure. If I were to go with the obvious interpretation, think angels falling – lots of them. The music is a dark, sweet morass of bass and synth drones, subterranean (stygian even) rumblings, metal scrapings, and subliminal saxophones. Given the recording process, huge credit has to go to the editing: everything is perfectly balanced. There’s an incredible sense of depth and clarity, everything has its place in what feels like a very three-dimensional sound picture. Fine details continually arise from the abyss only to fall back under the next wave of cleansing distortion. It’s the aural equivalent of watching The Omen – hugely atmospheric, deeply forbidding and you just know that bad things are going to happen. And yet, you can’t help rooting for little Damien. He may be here to destroy the world and you with it but there’s ultimately something quite compelling at work here. Immerse yourself… if you dare.